Learn all about the new Callaway Epic Flash driver below. Do you aspire to slower ball speeds, extra difficulty launching drives and missing more fairways? If so, then Callaway's new Epic Flash isn't for you. If you don't mind the suggestion, set your performance bar just a bit higher and test drive the Epic Flash. 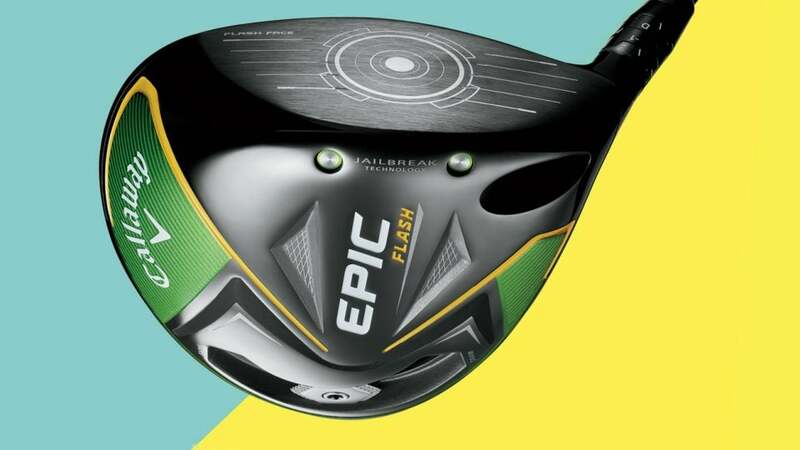 The "Flash" is about new face technology, developed using artificial intelligence (AI), while the "Epic" unofficially describes the ball speed this driver is capable of producing. According to Evan Gibbs, Callaway's R&D director for woods, the company assessed more than 15,000 iterations of various Flash face designs before finding the longest and most forgiving one, a task completed by an AI-powered supercomputer so fast that trying to do likewise on your own Mac or PC would take upwards of 35 years. (Your legs would cramp up, too.) The computer worked outside the confines of typical face geometry, and the Flash has what Gibbs calls a "non-intuitive" thickness pattern—subtle ripples flowing from heel to toe—that would never exist without AI. Pretty impressive stuff. Combine it with Callaway's existing Jailbreak technology, a new triaxial carbon crown that saves weight and boosts MOI, and adjustable perimeter weighting, and you have an early leader for driver of the year. Tech upgrades on the new Epic Flash driver include new adjustability, shorter and lighter hosel, and an AI-designed face. SLIDE IT TO GLIDE IT Dial in your shot shape (or guard against a swing flaw) by tweaking the position of the Flash’s sliding 16g weight. CUSTOMIZE TO OPTIMIZE A new shorter, lighter hosel design provides adjustability with a lower CG, while the triaxial carbon crown boosts MOI. DOIN' TIME FOR BETTER DRIVES AI-designed geometry and Jailbreak technology allow for a thinner face, more flex and measurably faster ball speed.